What a stunning looking Limited Edition Black Design, which consists of 20" Black alloys with Black grille and vents. Only 39000 miles with Land Rover service history. Finished in Santorini Black with Black leather interior with premium carpets. 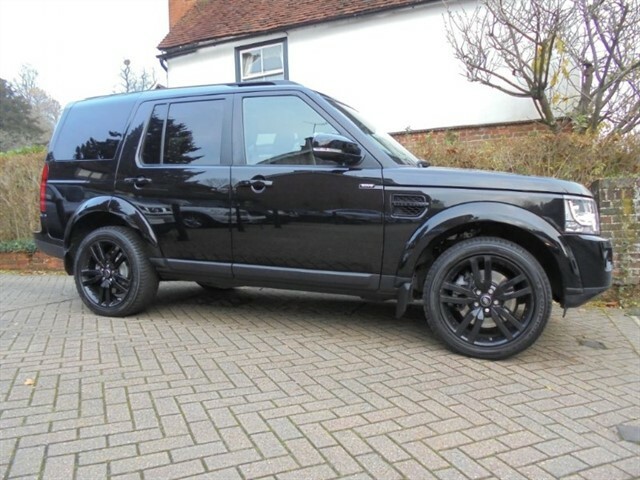 This Discovery 4 features, Automatic transmission, Sat/nav, twin sunroofs, bluetooth phone connection, DAB radio, Meridian speaker pack, cruise control, electric heated seats-with memory function, air conditioning/climate control front and rear, sun protection glass, automatic high beam assist, 7 seats, parking sensors, 20" Black alloy wheels. List price new �56105.00. Car Gurus Top Rated Dealer 2018. MAKING IT THE SMART CHOICE. 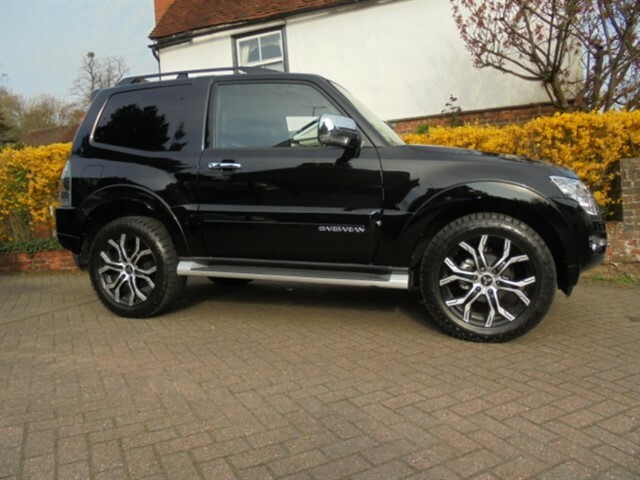 PLUS VAT...Rare Barbarian Commercial with 3000 Miles balance of Mitsubishi 5 year warranty. Finished in Black with Black Barbarian leather interior. 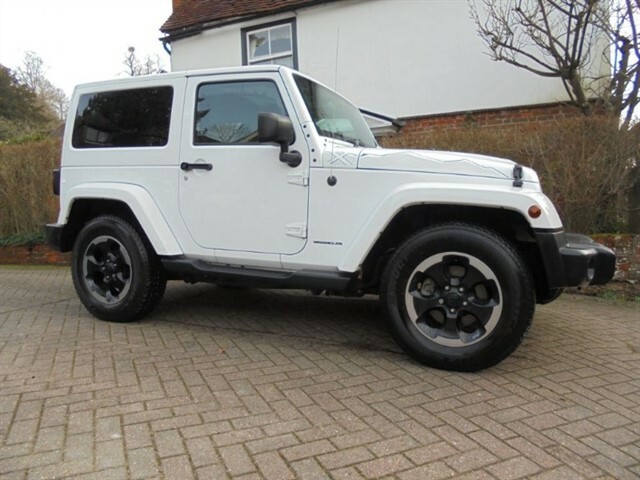 This Shogun SWB features, automatic transmission, Sat/nav, rear park camera, Blue tooth, cruise control, electric drivers seat, air conditioning/climate control, aluminium sports pedals, 20" Black and Silver alloy wheels. Balance of Mitsubishi 5 year warranty. MAKING IT THE SMART CHOICE. One owner from new with only 37000 miles with Land Rover service history. Finished in Corris Grey metallic with contrasting Cream leather interior. 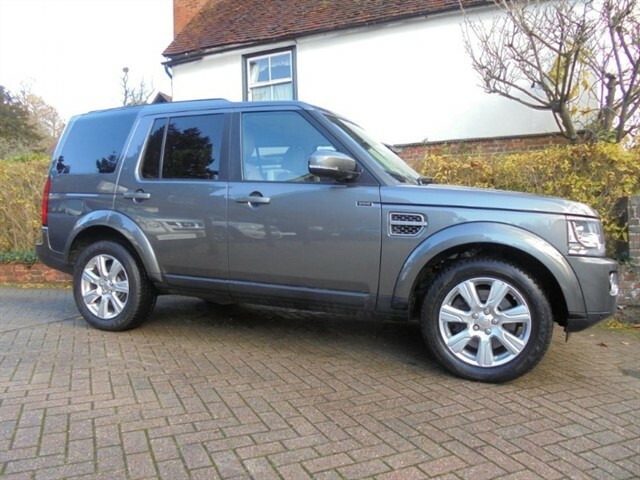 This Discovery 4 features, Automatic transmission, Sat/nav, bluetooth phone connection, DAB radio, Meridian speaker pack, cruise control, heated seats, air conditioning/climate control, sun protection glass, 7 seats, parking sensors, 19" alloy wheels. VAT QUALIFYING. Car Gurus Top Rated Dealer 2018. MAKING IT THE SMART CHOICE. Barbarian model. Only 8600 miles from new with a full Mitsubishi service history 2 stamps. Finished in White with Black Barbarian leather interior. 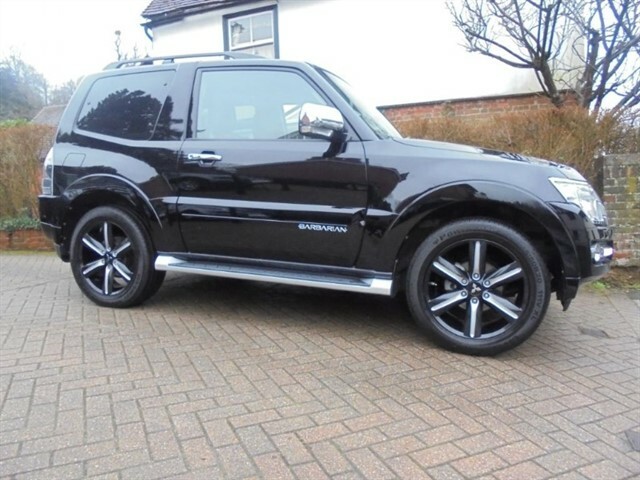 This Shogun SWB features, automatic transmission, Sat/nav, rear park camera, Blue tooth, cruise control, electric drivers seat, air conditioning/climate control, aluminium sports pedals, parking sensors, 20" Black and Silver alloy wheels. Balance of Mitsubishi 5 year warranty. Car Gurus Top Rated Dealer 2018. MAKING IT THE SMART CHOICE. Top spec Barbarian model. Full Mitsubishi service history. Finished in Grey metallic with Black Barbarian leather interior. 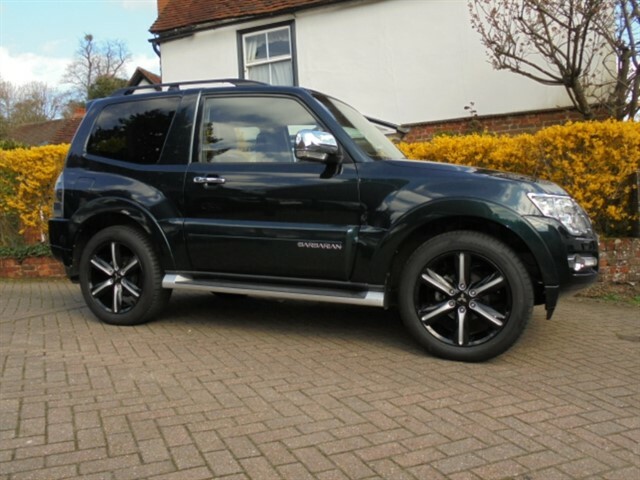 This Shogun SWB features, automatic transmission, Sat/nav, rear park camera, Blue tooth, cruise control, electric drivers seat, air conditioning/climate control, aluminium sports pedals, 20" Black and Silver alloy wheels. 2 keys and book pack present. Balance of Mitsubishi 5 year warranty. Car Gurus Top Rated Dealer 2018. MAKING IT THE SMART CHOICE. Top spec Barbarian model. 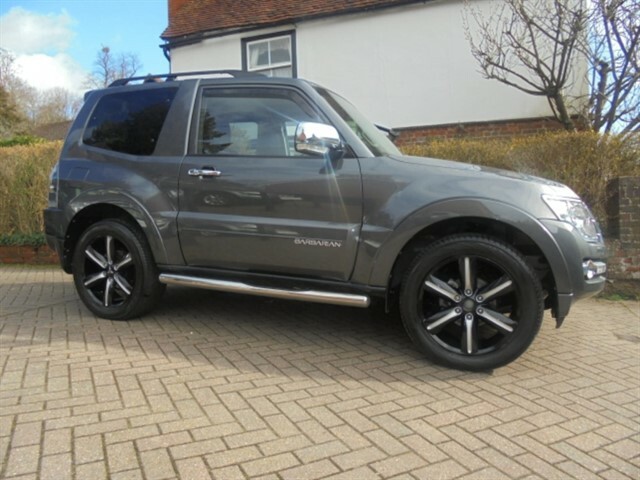 Only 25000 miles from new with a full Mitsubishi service history Finished in Grey with Black Barbarian leather interior. 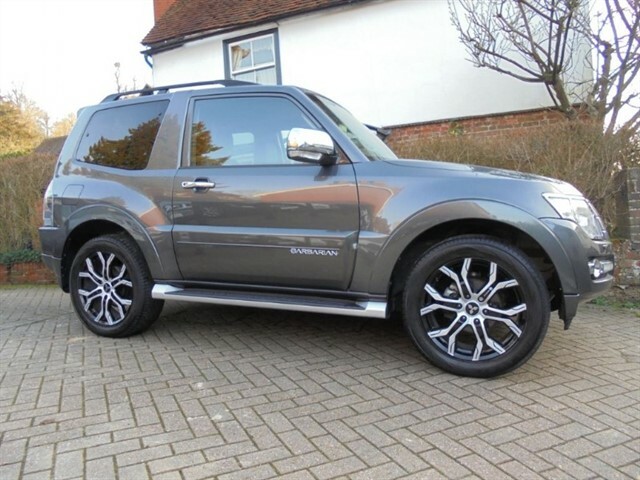 This Shogun SWB features, automatic transmission, Sat/nav, rear park camera, Blue tooth, cruise control, electric drivers seat, air conditioning/climate control, aluminium sports pedals, 20" Black and Silver alloy wheels. 2 keys and book pack present. Balance of Mitsubishi 5 year warranty. Car Gurus Top Rated Dealer 2018. MAKING IT THE SMART CHOICE. Full Mitsubishi service history 3 stamps. Finished in Eiger Grey metallic with Black Barbarian leather interior. This Shogun SWB features, automatic transmission, Sat/nav, rear park camera, Blue tooth, cruise control, electric drivers seat, air conditioning/climate control, aluminium sports pedals, 20" Black and Silver alloy wheels. 2 keys and book pack present. Balance of Mitsubishi 5 year warranty. Car Gurus Top Rated Dealer 2018. MAKING IT THE SMART CHOICE. Very rare Fairway Green metallic...Top spec Barbarian model. Only 25000 miles from new with a full Mitsubishi service history 2 stamps. Finished in Fairway Green metallic with Black Barbarian leather interior. 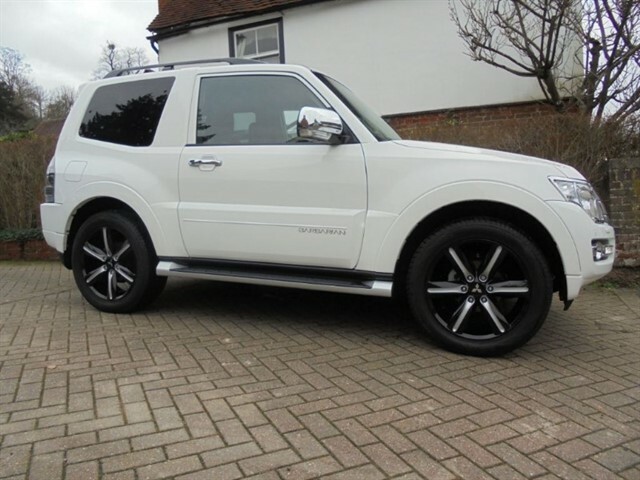 This Shogun SWB features, automatic transmission, Sat/nav, rear park camera, Blue tooth, cruise control, electric drivers seat, air conditioning/climate control, aluminium sports pedals, 20" Black and Silver alloy wheels. Balance of Mitsubishi 5 year warranty. Car Gurus Top Rated Dealer 2018. MAKING IT THE SMART CHOICE. Top spec Barbarian model. Only 34000 miles from new with a full service history 3 stamps. Finished in Black with Black Barbarian leather interior. 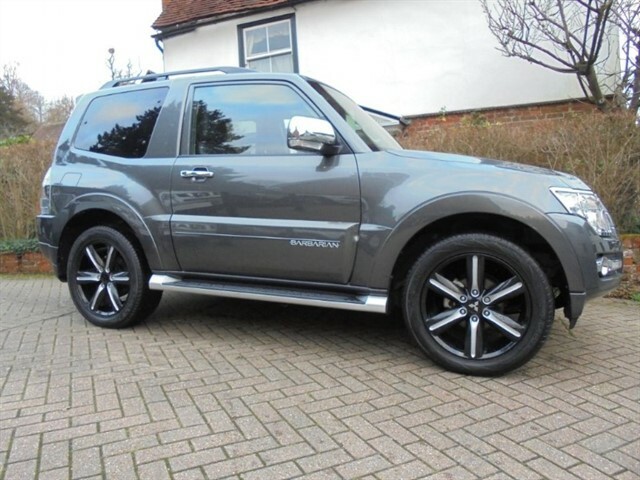 This Shogun SWB features, automatic transmission, Sat/nav, rear park camera, Blue tooth, cruise control, air conditioning/climate control, aluminium sports pedals, 20" Black and Silver alloy wheels. 2 keys and book pack present. Balance of Mitsubishi 5 year warranty. Car Gurus Top Rated Dealer 2018. MAKING IT THE SMART CHOICE.